The All-India Institute of Medical Sciences (AIIMS), New Delhi, a brainchild of Pt. Jawaharlal Nehru, has emerged as a perfect Mecca for young learners from across the globe and a one-stop destination for those fighting various ailments. Known for its high-end medical excellence, the iconic healthcare provider, has been addressing, the peoples’ health concerns, besides offering various graduate and undergraduate level courses in medical and para-medical streams and an ocean of job opportunities for career freaks. With decades of practical experience, supported by a track record of incredible results over the years, Mantram Nursing Academy is tested and tried coaching destination for AIIMS Staff Nurse Recruitment Exam and give wings to your cherished dreams. Its close proximity to Panjab University and PGIMER, make us walk ahead of our potential competitors. An erudite faculty with decades’ of rich experience in their respective fields is our USP. The academy has emerged as the perfect career-launcher in this part of the country. As in the previous years, AIIMS offers to fill vacancies of Nursing Officer/Staff Nurses in the organization during the current year. The candidate applying for the post should be B.Sc (Hons) Nursing, B.Sc. Nursing from an Indian Nursing Council recognized institute or university or B.Sc. (Post certificate)/ Post Basic, B.Sc. Nursing from an Indian Nursing Council recognized Institute or University, Registered as Nurse and Midwife in state/Indian Nursing Council or Diploma in general nursing midwifery (GNM) from Indian Nursing Council recognized Institute/board or council or registered as nurse and midwife in state/ Indian Nursing Council recognized Institute/Board or Council, with two years’ experience in an at least 50-bedded Hospital. For those aspiring to make a career as a staff nurse/ nursing officer in this premier medical institute, here are some of the prominent dos for them. They are required to qualify the AIIMS nursing recruitment exam, which is a national level exam conducted by the institute annually as per the standard norms. This year a written exam for the post of Nursing Officer/ Staff Nurse Recruitment is being conducted on September 16, 2018. Besides Delhi, the said exam will be conducted in all major cities of the country. The result will be declared on September 26, 2018. Those eyeing for the lucrative career must be aware of the date of exam, admit card, exam pattern, syllabus, etc. A quick look at the fast-changing scenario reveals how career freaks are attracted to this lucrative Nursing profession, given the attractive salary and other perks. There is no denying that Nursing profession has emerged as the major career choice among the serious career seekers. As for the scope and areas of employment/recruitment opportunities, besides AIIMS, nursing professionals are eligible to serve as a staff nurse, nursing officer, chief nursing officer, nursing superintendent in government hospitals/nursing institutes, state health departments, defense services, nursing science schools, Indian Railways, et al. 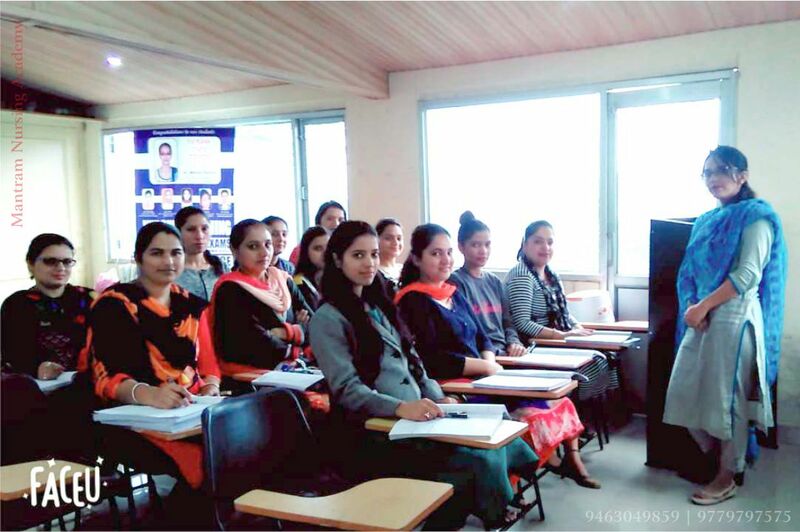 Some of the top-notch nursing colleges/universities/ government medical institutes, like the PGIMER, JIPMER, CMC, IGIMC, GMCH, Baba Farid University of Medical Sciences, Punjab and HP Universities and other state departments offer job opportunities abound. The AIIMS has also been holding recruitment exam for the post of Nursing Tutor. The candidates applying for the post should have obtained essential qualification, necessarily hold B.Sc. nursing degree from a recognized institute /university or registered nurse and midwife or registered nurse and midwife with Sister-Tutors Diploma, besides three years’ teaching experience in any nursing institute. The age of the candidate should be 50 years. Only those candidates will be eligible for the posts who are registered nurses (RNs), registered midwives. Mantram Institute offers best coaching for Recruitment Exam in Chandigarh? Mantram Nursing Institute has been imparting the best nursing coaching for entrance/ recruitment in the city for over decades now. It offers a well-designed methodology and modules for recruitment under the expert guidance of experienced faculty with rich practical experience in the field. The iconic academy has emerged as the one-stop destination for those who have already decided on their career and want to pursue, heart and soul. Why choosing Mantram? : Achievers’ unfold the mystery! When it comes to choosing an institute of your choice, your hunt for the best ends with Mantram, the best option for you! A tested and tried portal of nursing in this part of the country, it not only provides you coaching for entrance but also for recruitment in renowned medical colleges and other institutes of the country. The institute rolls out seamless facilities, including conducive atmosphere, complete study material prepared by highly qualified professionals. It keeps a constant vigil over the latest about the upcoming nursing recruitment/entrance exams/results, et al, and keeps the students updated. A string of facilities provided at the academy make it different from other key players in the city. When it comes to short-listing institutes across the city offering expert coaching and guidance for recruitment to Nursing Officer/ Staff Nurse, one has to do a whole lot of groundwork to choose one. In the run-up to choose the best among them is a too tedious a job. And, you bump into Mantram Coaching Academy, a star coaching institute with years of experience and professional expertise to credit. The academy is well-equipped with seamless infrastructure, a conducive atmosphere, besides the best and seasoned faculty. It has designed specialized teaching methodology and modules that gives us an extra edge over the other key players.